As we approach the first 100 day mark of the Trump administration, it is timely to remember that the biggest impact of President Trump on Australia probably remains his first executive order scrapping the Trans Pacific Free Trade Agreement. As a small trading nation, Australia’s prosperity is threatened by the rise of neo-Protectionism both abroad and locally. Drawing on his vast experience of free trade agreements with South Korea, Japan and China, as well as the 12 country Trans Pacific Free Trade Agreement on Australia’s behalf, former trade minister in the Abbott and Turnbull Government, the Hon. Andrew Robb, will explain why freer trade is in our national interest – and why America’s turn towards protectionism under Trump is bad news for the Australian economy. 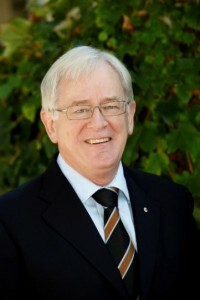 Until his recent retirement from politics, Andrew Robb was Australia’s Minister for Trade and Investment. In this role Mr Robb negotiated Free Trade Agreements, investment roundtables and created Strategic Partnerships in our region and abroad. Mr Robb’s agricultural experience began as an animal health officer, with major involvement in the successful brucellosis and TB evaluation program in Australia’s beef herd. Subsequently, as an agricultural economist, Mr Robb was involved in the development and running of Australia’s Livestock Market Reporting Service, and the development of the first carcase classification scheme in Australia. Mr Robb stood for Parliament in 2004 and was elected to the Federal Seat of Goldstein until his move back into the private sector at the time of the recent 2016 election. To secure your place please book at Eventbrite, www.cis.org.au/events or call (02) 9438 4377. Please note that all bookings are transferable but non-refundable. If you wish to transfer a booking you must advise the organisers of the name change at your earliest convenience. *Please enter your student ID number in the comment section at checkout.